Kitchen is a very important part of the house, it is the center of creativity where you let your imagination loose and create amazing cuisines. A fully functional kitchen also adds a lot of value to the home. 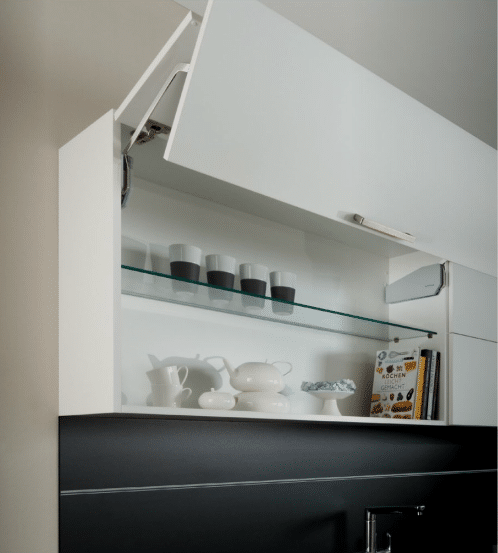 To create a stunning kitchen you need to pay particular attention to the selection of the drawers. 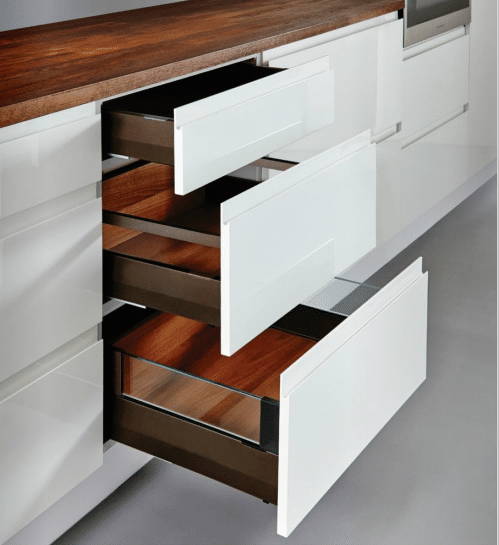 Below we share some amazing drawers that would inspire you to create a perfect specimen for your kitchen. The creativity of the cabinets is only limited to one’s imagination. There are limitless variations that you can experiment with. 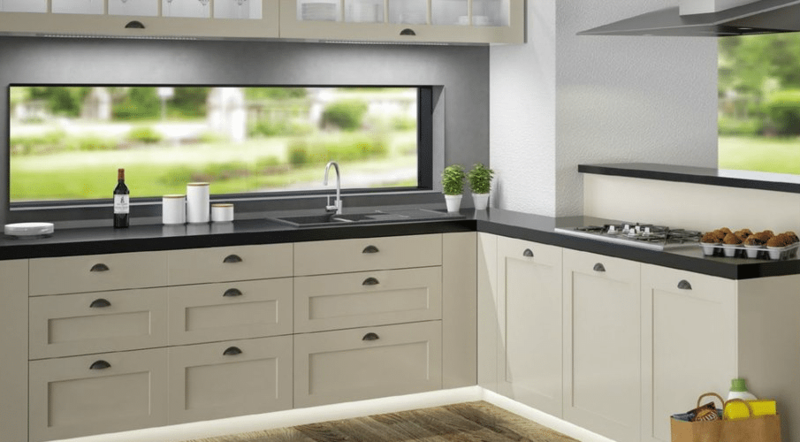 This beautiful cabinet system employs the flap fitting technology that adds a modernistic charm and perfect utility to your kitchen. The beautiful overhead swinging motion of the drawer ensures that you utilize your space perfectly and craft a beautiful kitchen for yourself. 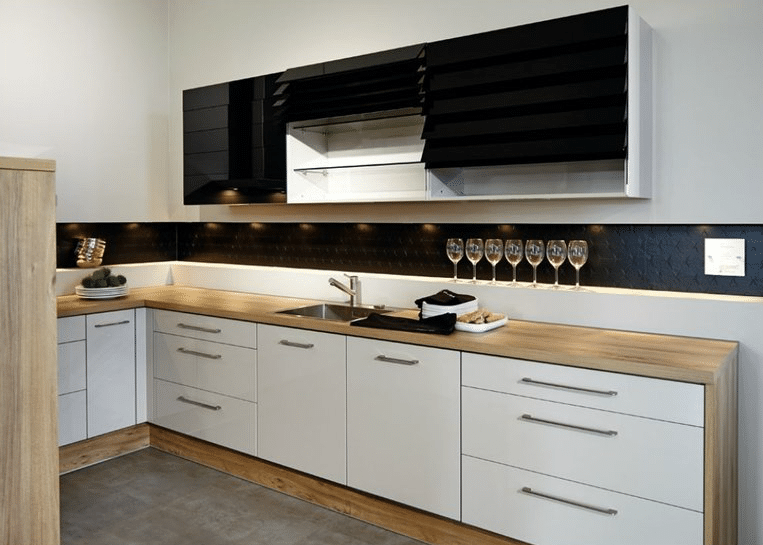 A simplistic, elegance and fully serviceable cabinet that would fit perfectly in any modern kitchen. Kitchen is the only place in the house where the possibilities are limitless. This beautiful kitchen design would be a perfect inspiration to create your dream kitchen. The contrasting effect of dark and white creates a unique beauty and aesthetic appeal that would wow your family. The beautiful accents of the wood running across the drawer further add to the charm and beauty of this amazing kitchen. 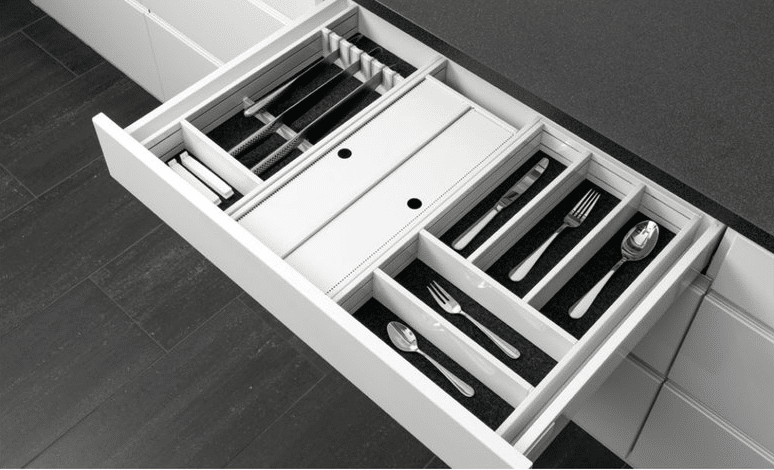 The drawers employ simplistic design to create a clean and crisp look. A stunning set of drawers in a stunning kitchen. When it comes to drawers then organization is the key to success. No matter how many drawers you have in your kitchen if they are not organized properly you would not be able to achieve the desired utility and comfort. This beautiful example would serve as a clear guideline about how to organize your drawers in a space effective, creative and cool manner. 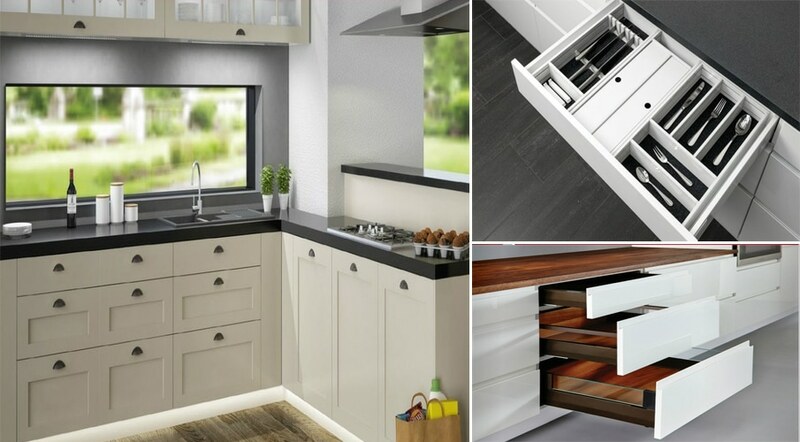 The beautiful quality and unique aesthetics of this drawer would appeal to any homeowner seeking to instill a bit of beauty in their kitchen. Spacing of the drawers is also very important. A perfect kitchen would strike a balance between the space saving and utility. These pearly white cabinets with wooden and earthy tones serve as the perfect reminer of what a beautiful drawer can accomplish for your kitchen. The sense of perfection and organization is evident in these drawers. The beautiful counter top creates a unique look that matches perfectly with the rest of the kitchen. A thoughtful and creative drawer design. This kitchen favors a more traditional look. The beautiful arrangement of the drawers create a sense of flow and organization into the kitchen. The jet black countertop creates a marvellous effect paired with the drawers. The window overlooking the garden adds another charming element to your interior and creates a perfect look. This beautiful yet simplistic design is perfect for any type or form of the house and would add staggering beauty to your home.